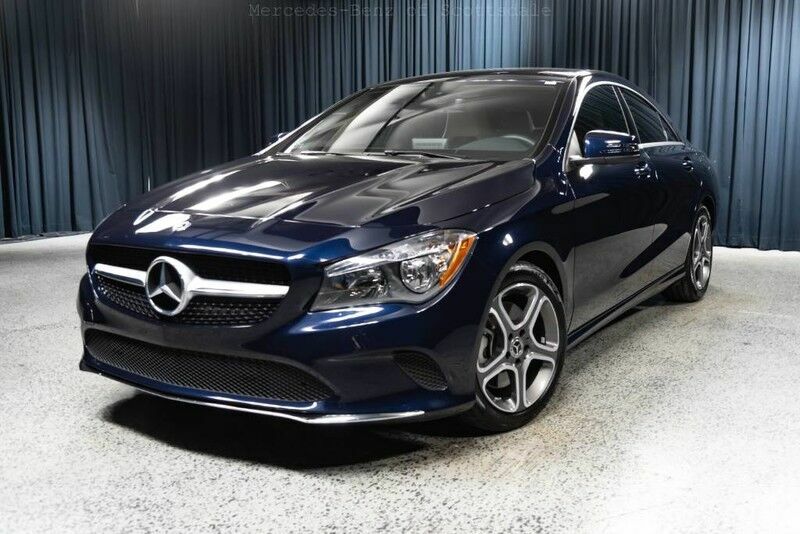 Contact Mercedes-Benz of Scottsdale today for information on dozens of vehicles like this 2019 Mercedes-Benz CLA-Class CLA 250. This Mercedes-Benz includes: SMARTPHONE INTEGRATION Smart Device Integration BLIND SPOT ASSIST Blind Spot Monitor WHEEL LOCKS (PIO) Wheel Locks LUNAR BLUE METALLIC SAHARA BEIGE, MB-TEX LEATHERETTE SEAT TRIM Premium Synthetic Seats *Note - For third party subscriptions or services, please contact the dealer for more information. * Your buying risks are reduced thanks to a CARFAX BuyBack Guarantee. Certified Pre-Owned means certified peace of mind. There are many vehicles on the market but if you are looking for a vehicle that will perform as good as it looks then this Mercedes-Benz CLA-Class CLA 250 is the one! Mercedes-Benz of Scottsdale is honored to present a wonderful example of pure vehicle design... this 2019 Mercedes-Benz CLA CLA 250 only has 1mi on it and could potentially be the vehicle of your dreams! How to protect your purchase? CARFAX BuyBack Guarantee got you covered. You can finally stop searching... You've found the one you've been looking for. The look is unmistakably Mercedes-Benz, the smooth contours and cutting-edge technology of this Mercedes-Benz CLA CLA 250 will definitely turn heads. Based on the superb condition of this vehicle, along with the options and color, this Mercedes-Benz CLA CLA 250 is sure to sell fast.